Between that Lime Crime palette, the block heel booties, and that adorable cutout mini dress...we've really got no choice but to treat ourselves. Right? Nordstrom is my happy place. Free shipping! Free returns! A selection of items beyond my wildest dreams! Well they've now decided to make me love them even more (*wow*) by way of this huge spring sale — where items ranging from Lime Crime palettes to Madewell tees are now 50% off. It may be hard to believe, BUT BELIEVE IT! You can score everything from metallic envelope clutches and Bardot dresses to Urban Decay mascara and the perfect hoop earrings — with discounts so good that your afternoon lunch may cost more. Note: The sale runs until 4/22. 1. A cutout minidress so gorgeous, it'll make your spring allergies seem significantly more bearable. Sure, you're sneezing every five seconds! But at least your outfit is on point! And that's all that really matters. 2. Block heel booties you'll find yourself wearing 365 days out of the year. These perforated beauties can be worn with any outfit, whether a floral dress or white tee + black jeans. 3. A camisole top appropriate for any time and place. You can wear this to the office under a blazer, and then proceed to take OFF said blazer on your way to happy hour drinks. 4. A sheath dress available in nine gorgeous colors AKA say goodbye to your savings because you're now the proud owner of nine new dresses. Good decision on your end. 5. 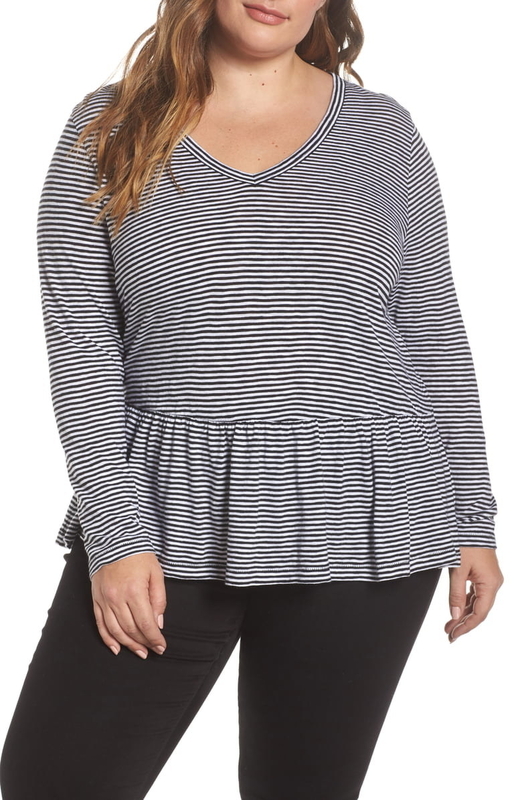 A Madewell tie-front top sure to become your "I don't know what to wear so I'll just wear this" top. Fashion emergencies, meet your go-to savior. 6. 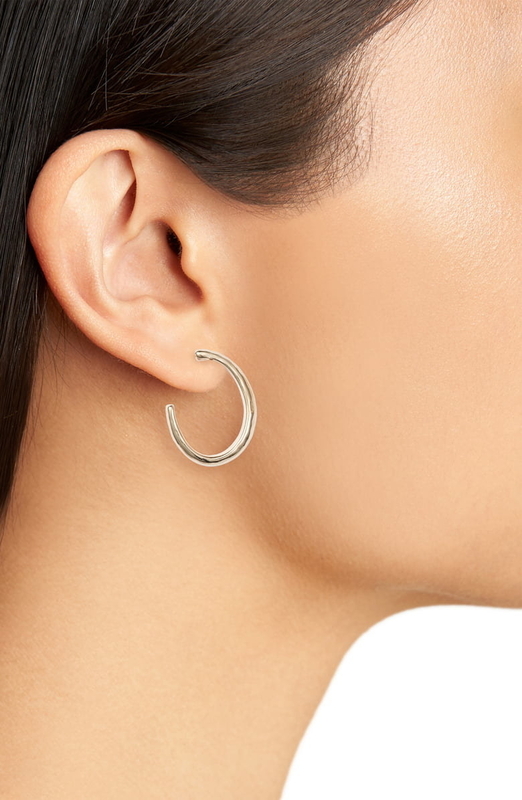 Basic hoops guaranteed to become a part of your daily life. 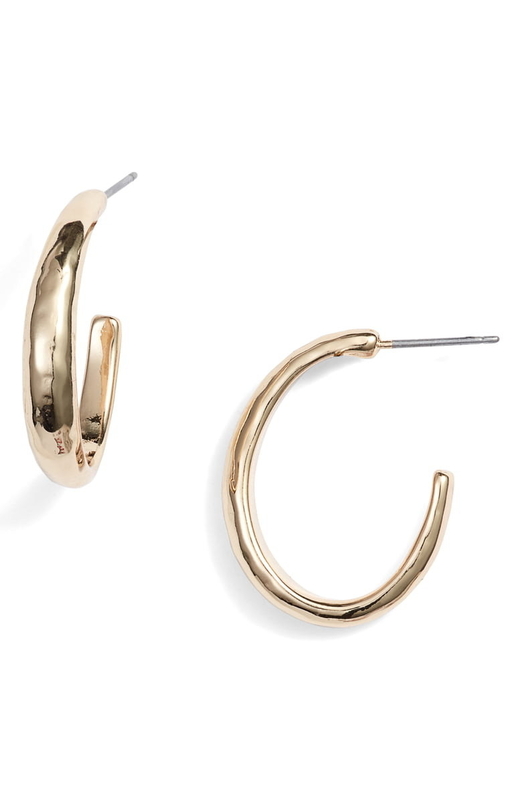 You'll never want to leave home without your wallet, your cellphone, your underwear, and these gorgeous earrings. 7. A faux leather crossbody bag I hereby dub the "I can wear this every single day with any freakin' outfit" kind of accessory. 8. A drapey button-front blouse available in a gorgeous golden shade...symbolic of all the sun your body will FINALLY be getting after a long few months of hibernation. Vitamin C, it's been too long. If the idea of wearing anything other than black hurts your soul...then don't worry, because this is also available in solid black. 9. 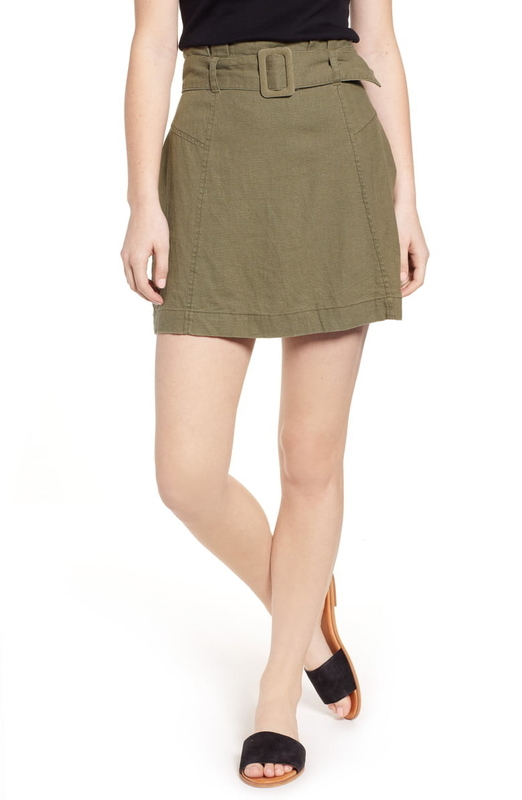 A belted linen mini skirt that will get you at least (*AT LEAST*) 95,078 compliments today. Warning: The ego on this thing is already pretty inflated. 10. A midi dress you can dress up with pumps or dress down with your dirtiest pair of kicks. This teal number is versatility at its finest, folks. 11. 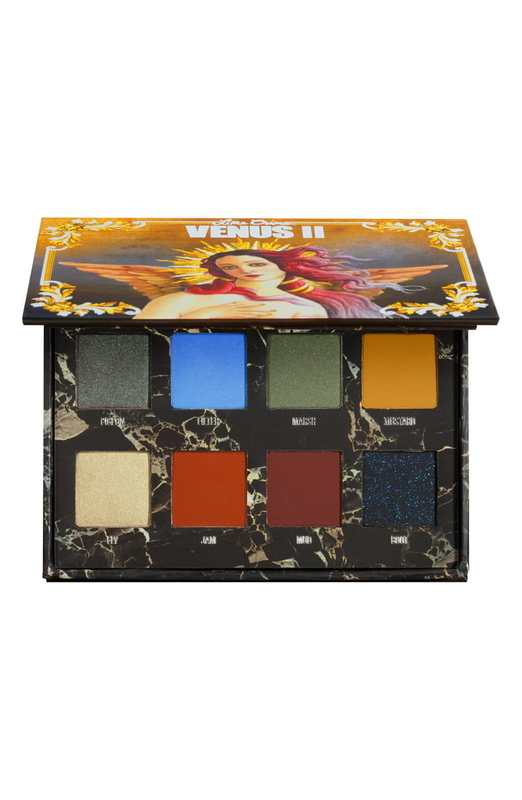 A cruelty-free Lime Crime palette packed with eight pigmented hues. Whether going for a daytime or nighttime look, these vegan colors are so good you'll actually ~hit the pan~. 12. A button-front cami made from an easy, breezy, lightweight linen material that won't cling to your skin the second humidity starts to kick in. 13. High-rise leggings that are, in a word, perfect. Do they wick moisture? Yes. Have a hidden waistband pocket? Yep. The perfect amount of four-way stretch? Duh. AND do they pass the squat test? CHECK! 14. Slingback booties so gorgeous, it'll become impossible to *not* wear them every single day. All of your other shoes will look like Shrek in comparison (no offense to Sir Shrek). 15. 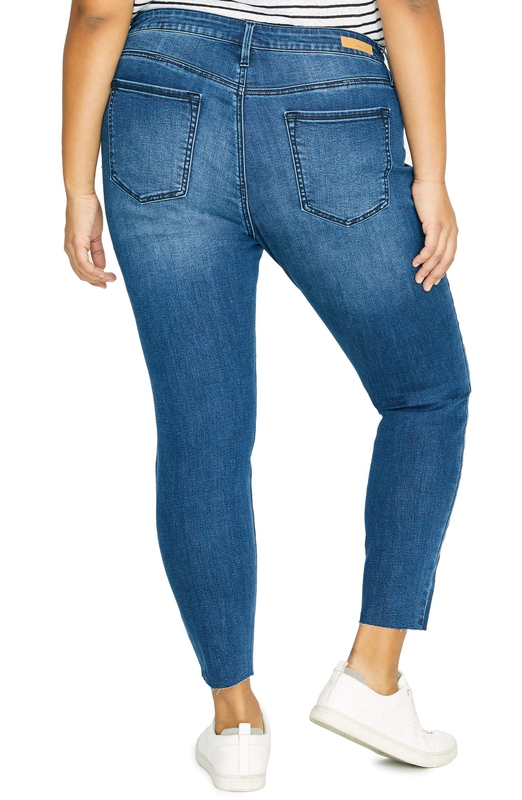 High-waisted skinny jeans that will deepen your appreciation for denim. This may sound blasphemous, but you'll probably start ignoring your leggings to opt for these baby blues instead. 16. A Bardot sheath dress perfect for any formal shindigs you've got coming up. From outdoor weddings to fancy work events, this little lace number is sure to become your go-to dressing up uniform. 17. 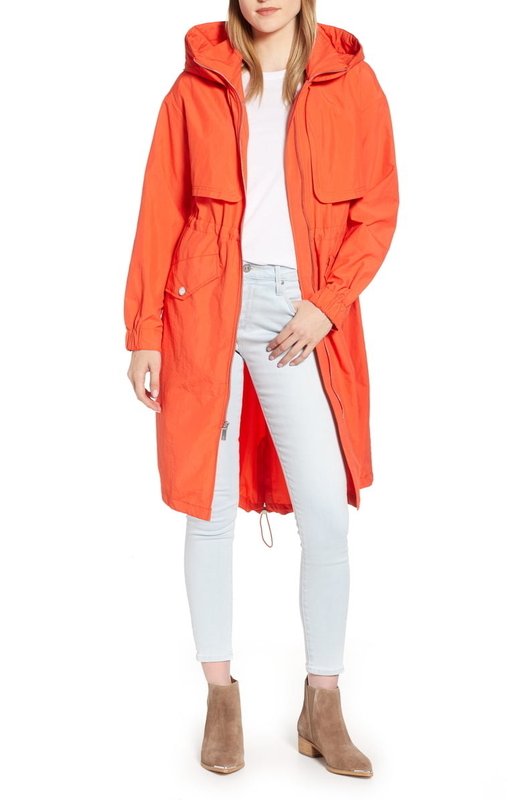 A Kenneth Cole hooded parka because spring weather is a MESS. 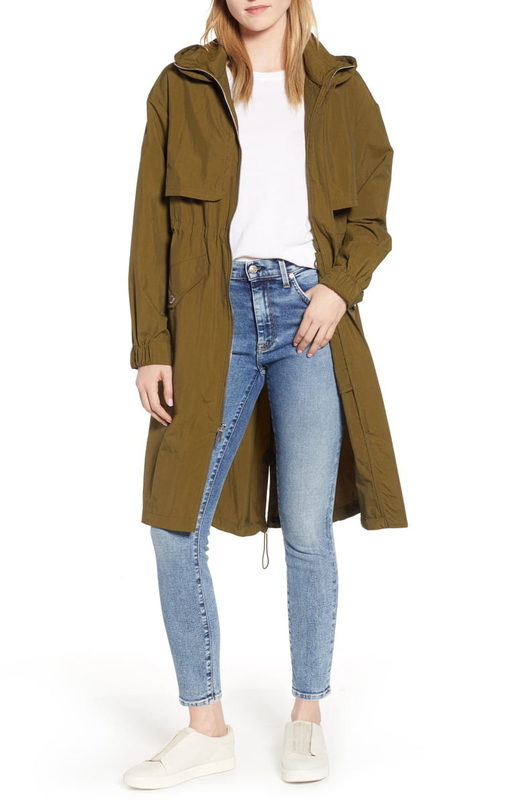 Throw on this utilitarian jacket when chilly April showers strike! 18. An Urban Decay mascara that'll get you the most coveted compliment of all time: "Are your lashes real?" This clump-free, cruelty-free formula will lengthen + thicken your lashes with just one swipe. 19. 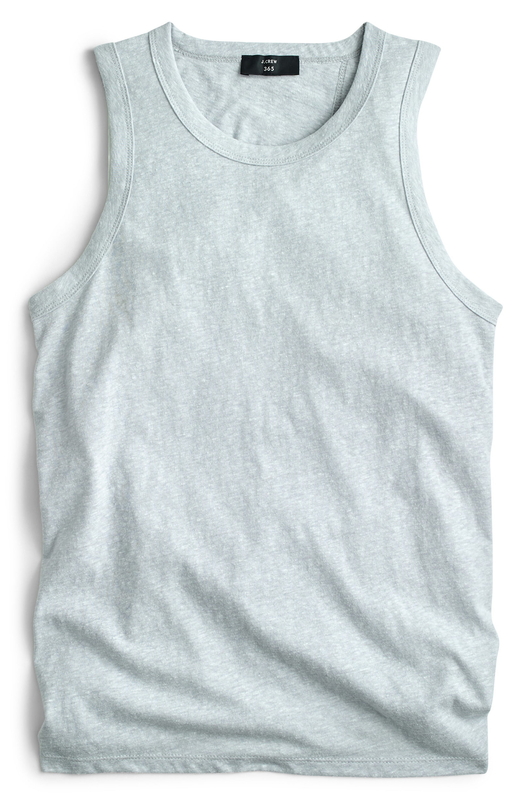 A J.Crew tank top as versatile as your current tank top — but better. 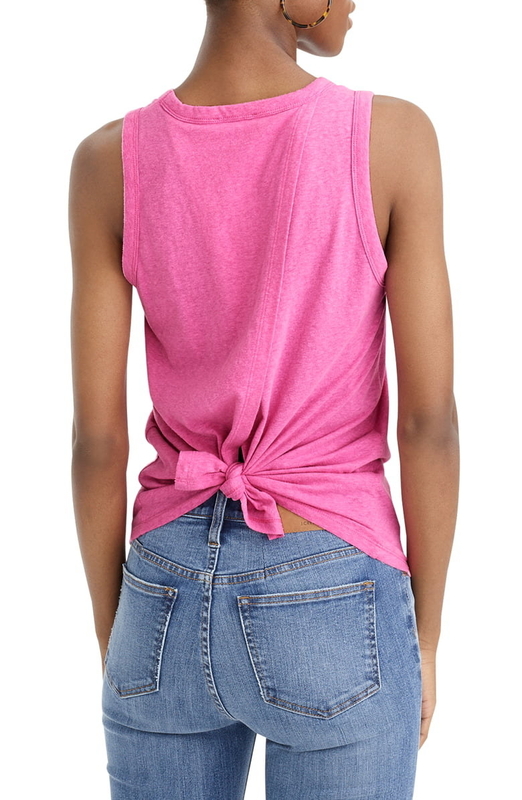 Let's get a round of applause for that tie-back detailing, which gives this top an extra dose of va va voom. 20. A Sonra Roberts envelope clutch available in a metallic navy finish, here to add some sparkle to even the plainest of outfits. 21. A Madewell mini skirt bound to suffer the same fate as your favorite jeans or your softest tee. In other words, this WILL be worn all 👏 the 👏 time 👏. 22. 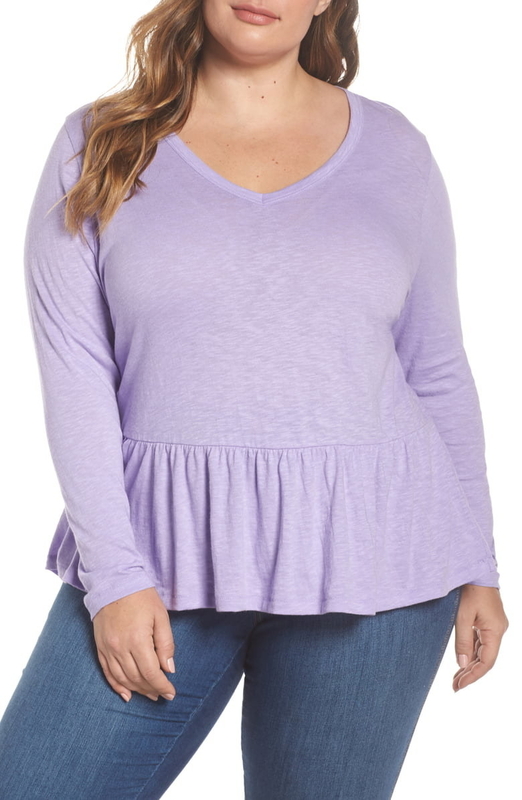 A V-neck peplum tee perfect for strolls in the park because HOORAY, the weather now permits you to actually leave your home and enjoy the nature that surrounds you! 24. 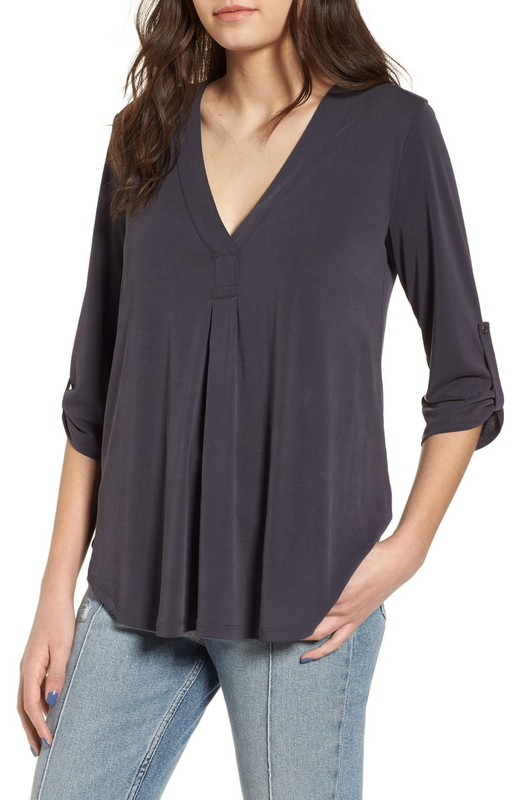 A V-neck henley top you'll find yourself grabbing over and over (and over) again. Folks, say hello to your new go-to wardrobe staple. Please remember to wash it every once in a while. 25. 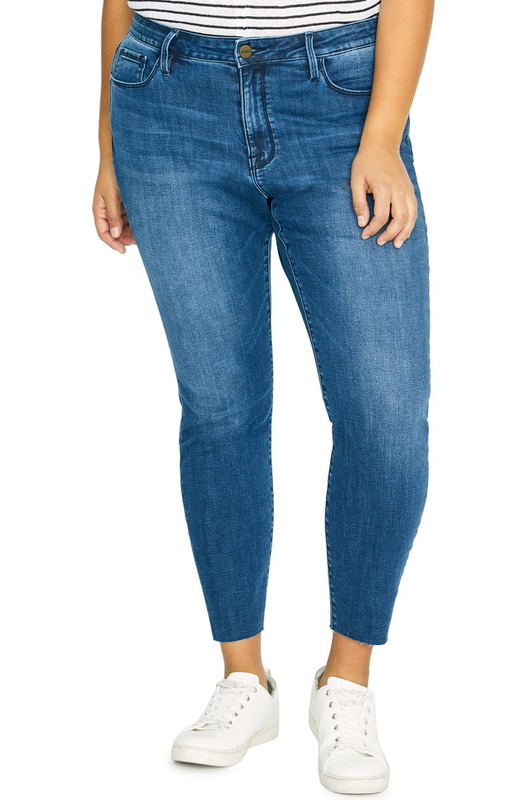 A Levi's shirt jacket that can be layered over a wrinkled white tee and BAM! Suddenly you look put together and the world will remain oblivious to how many times you pressed snooze this morning. Shop the rest of the Nordstrom spring sale! Want more style inspo? Check out these cheap and easy ways to feel more dressed up, the best places to buy bikinis online, and these inexpensive clothing stores.